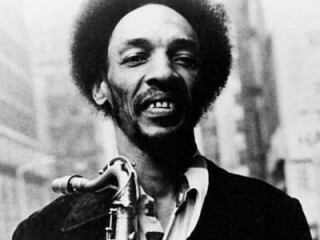 Birthplace : Enid, Oklahoma, U.S.
Sam Rivers, one of the most original and acclaimed voices in jazz, was often overlooked by the mainstream throughout his career. Rather than attempting to attract a wider audience for his music, Rivers instead concentrated on teaching younger generations of artists and developing new musical concepts. A versatile player known for his imaginative blending of jazz forms--from the blues and straight-ahead jazz to the avant-garde--Sam Rivers played with the greatest effect on soprano and tenor saxophone and flute, instruments on which he displayed his signature light, dancing style. However, he also became accomplished on piano, bass clarinet, and viola, all the while establishing himself as a composer and arranger of considerable talent. Rivers, a master improviser who frequently switches gears from liquid jazz to all-out funk, continued to record, perform, and influence fellow artists well into his seventies. Maintaining an obvious interest in all the styles jazz offers, Rivers explained to Down Beat's Dan Ouellette, "I play the history of jazz because I've been through it all." In 2006, he released Aurora, a third CD featuring compositions for his Rivbea Orchestra and the first CD featuring members of his working orchestra in Orlando. Rivers died from pneumonia on December 26, 2011 at the age of 88 in Orlando, Florida. View the full website biography of Sam Rivers.